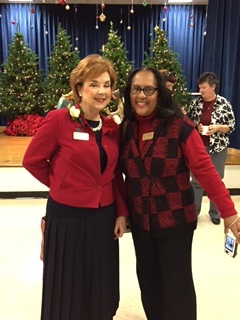 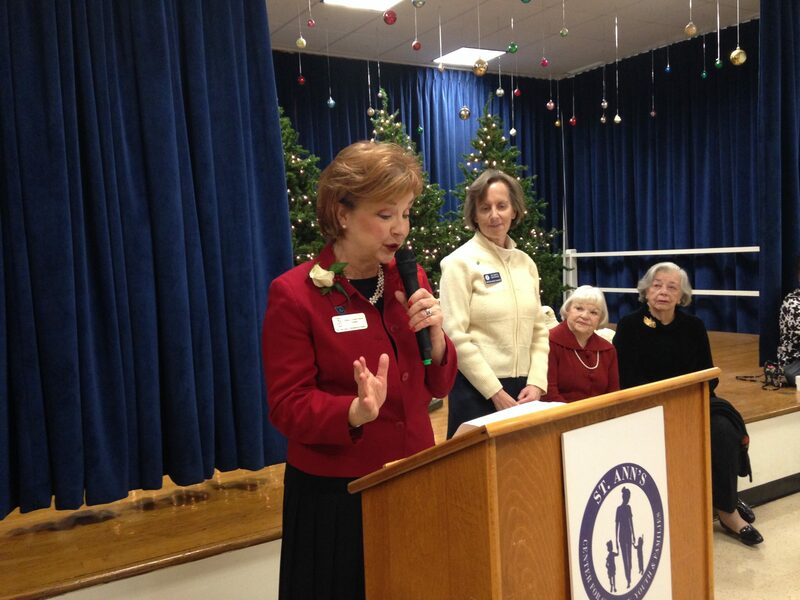 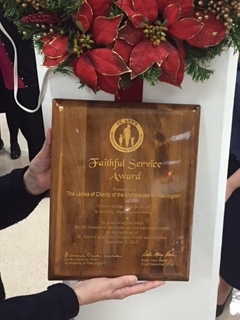 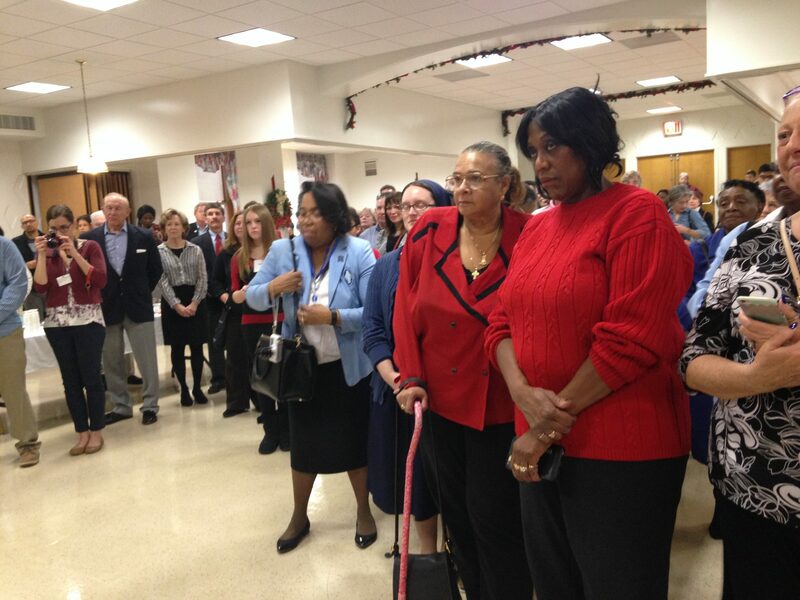 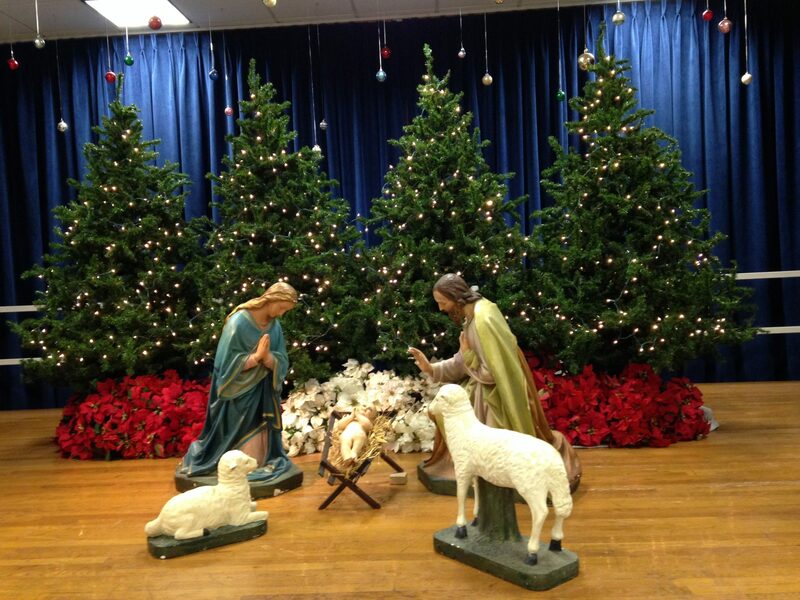 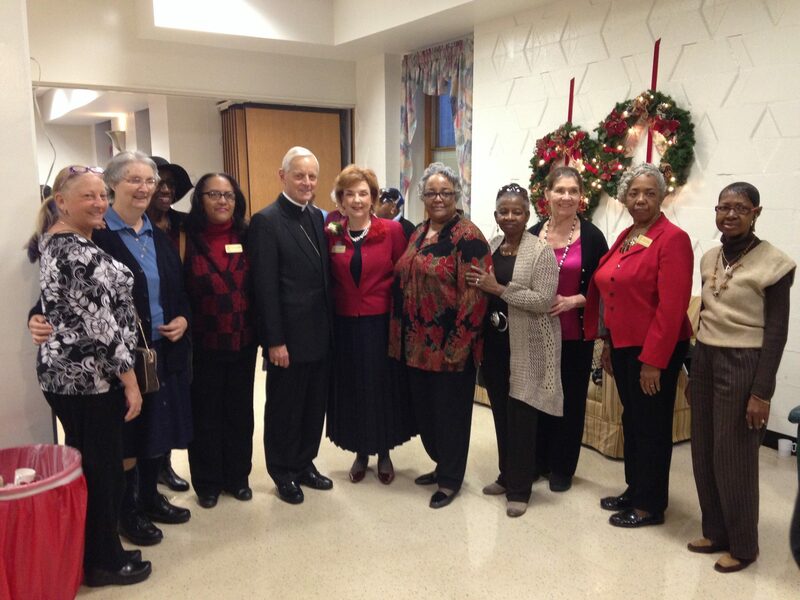 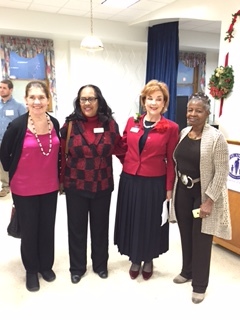 The Archdiocese of Washington Association of Ladies of Charity was presented with a Faithful Service Award for all the support given to St. Ann’s Center for Children, Youth and Families at its 2015 Annual Christmas Party. 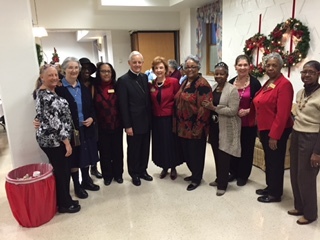 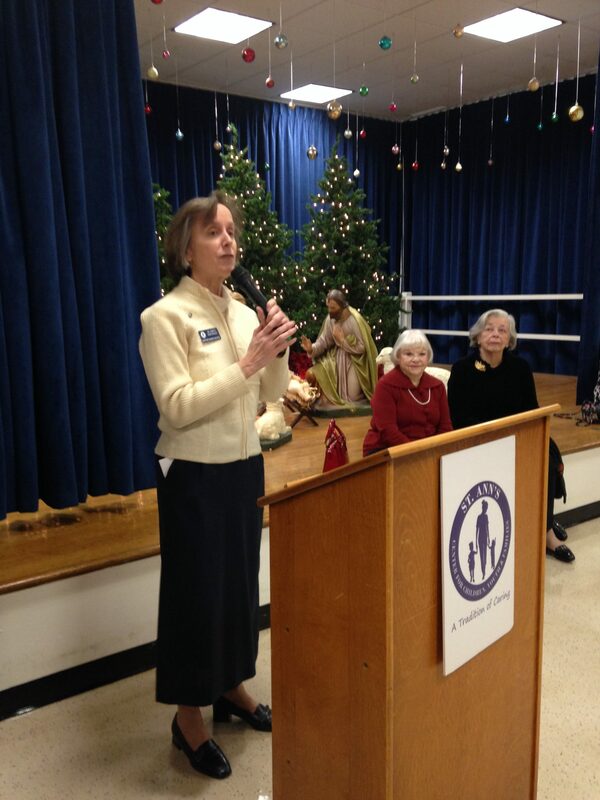 Sister Mary Bader, DC, Chief Executive Officer of St. Ann’s welcomed the Ladies of Charity and thanked them for their many acts of kindness given to the children and families of St. Ann’s over the years. 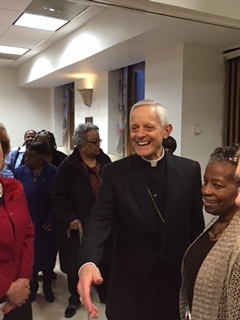 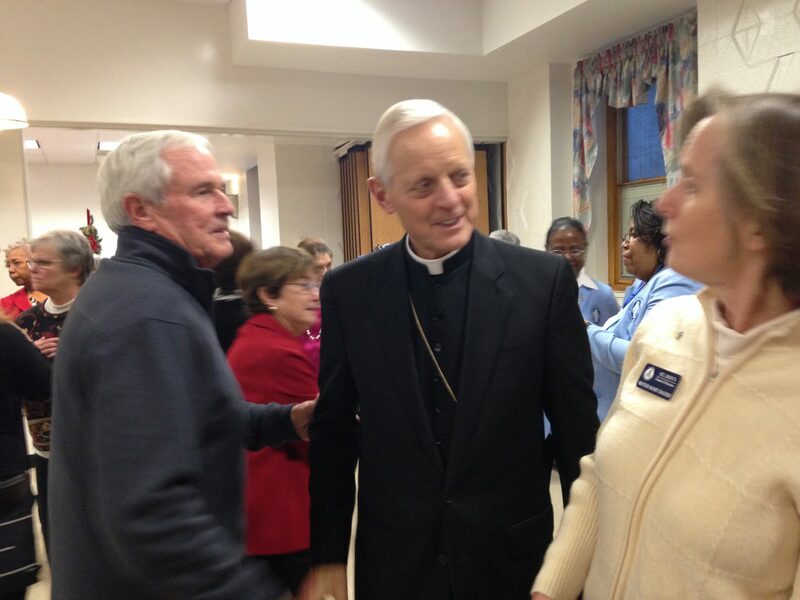 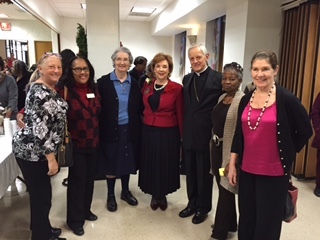 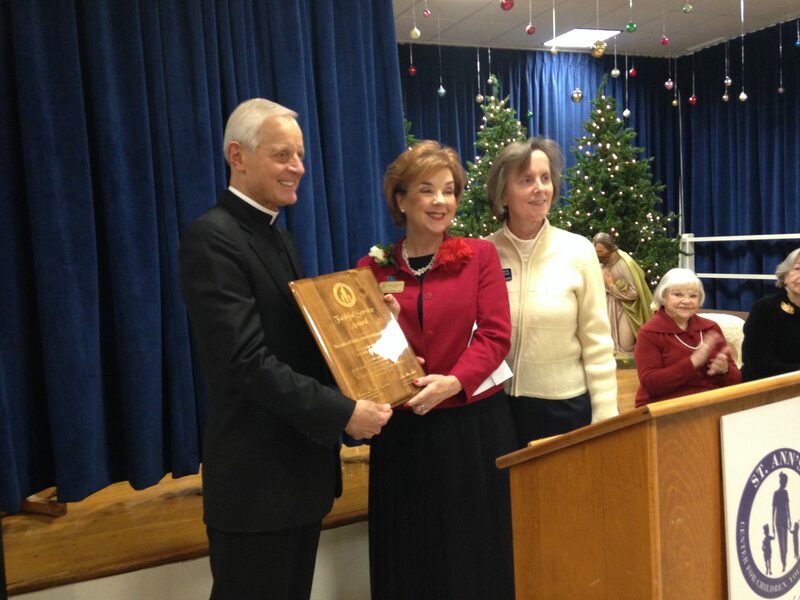 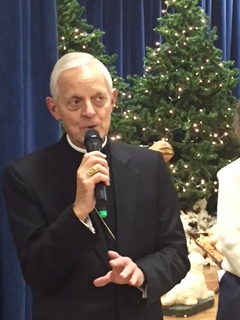 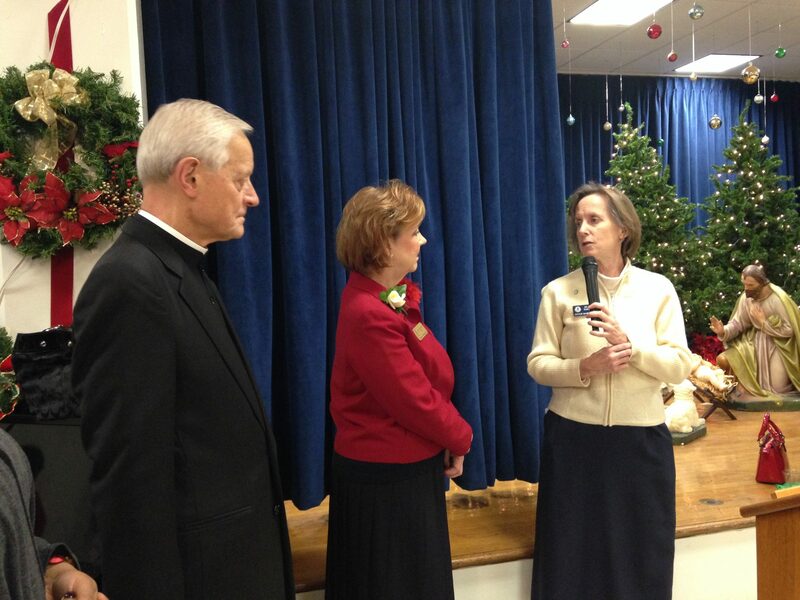 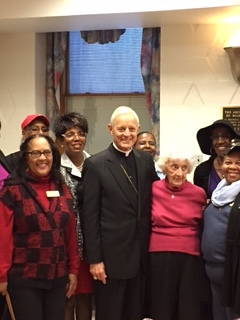 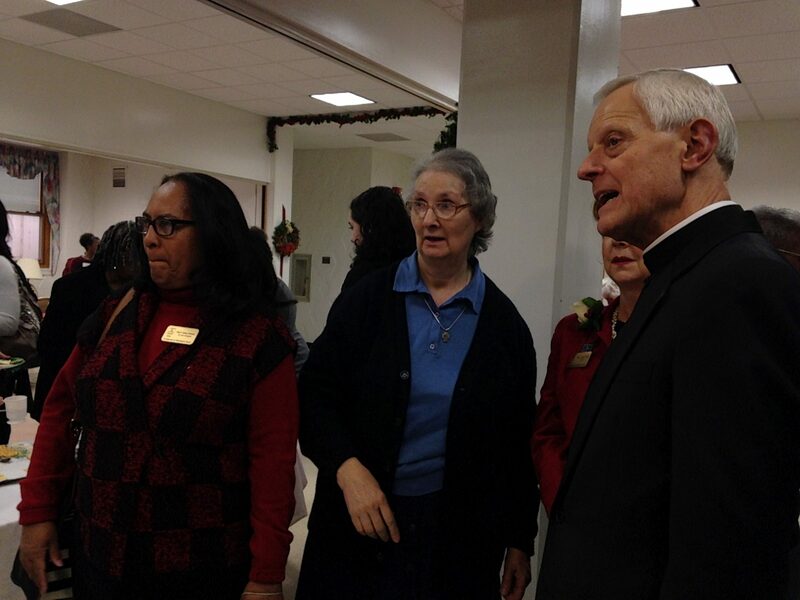 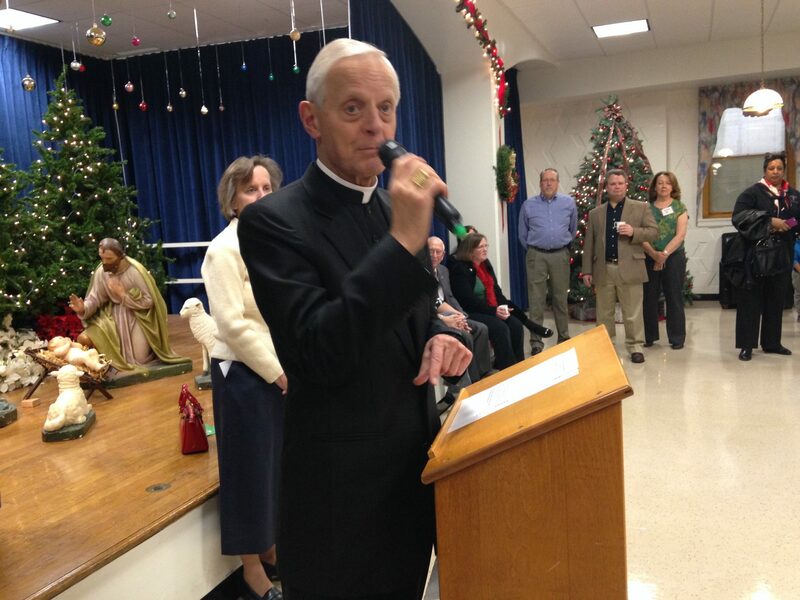 His Eminence Donald Cardinal Wuerl Archbishop of Washington presented the plaque to Mrs. Mary Louise Hand, President of the Archdiocese of Washington Association of Ladies of Charity. 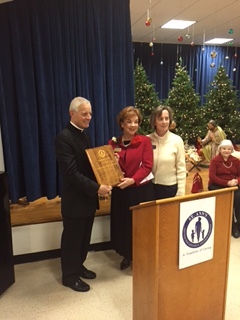 Mrs. Hand humbly accepted the award on behalf of all the Ladies of Charity throughout the Archdiocese and vowed to continue to support St. Ann’s mission in the future.